Unfulfilled dreams make for unhappy people. Some people couch it behind dull smiles and others just vent to their friends. As people grow older, with their dreams left unattended, they harbour not just regret but also despair. I’m quite certain we’ve all met people over 50 with unfulfilled dreams, we just don’t recognise them. While they may not say it out aloud, you can hear it in their disappointed voices. Our parents work tirelessly to provide a better lifestyle for us while putting their own dreams on hold. Most of the time, they don’t get a chance to unpause them. As adults, it’s time to flip things around; it’s time for us to take on the responsibility of encouraging them to pursue their unfulfilled dreams, just as they did for us. We can inspire them to #LiveNonstop. It may not always be possible to support them financially, but that shouldn’t stop us from finding other solutions to prevent their dreams from fading away. All it takes is a little time, love and understanding. 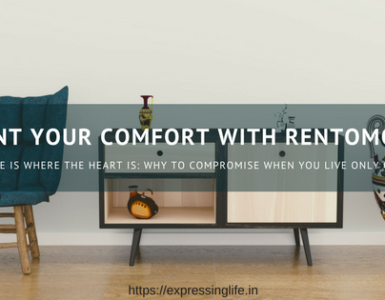 A common thread that runs along Vinay, Divya, and Keshav is that of empathy and respect for their parents’ dreams. They got great results just by talking to their parents; simple heartfelt conversations about what they really wanted to do. 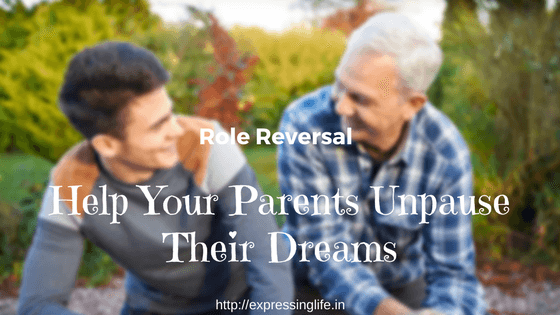 Keshav pointed out that when conversing with his dad, he kept all his opinions in check till he fully understood the thought behind his dream. At first, Keshav couldn’t understand why his dad didn’t want to travel or start his own business until he confessed that he would be happier doing something that has a positive impact on communities. Keshav thus believes that it’s important to remember that our parents’ ideas may differ from what we may have in mind for them, so keep a neutral mindset and they’ll open up. Parents are usually the driving force in our lives, encouraging and empowering us to ensure we pursue our dreams. Vinay was always inspired by his father’s positive attitude, but now it was his turn to motivate him. He knew his father was a great teacher and also wanted to start something of his own. Vinay reminded his dad of the great job he had done training him in soft skills – then why not teach others as well? Vinay convinced his dad by helping him realise his potential and encouraged him to combine it with his goal. He connected his dad with a few prospective students who were interested in the training. As Vinay’s dad guided those students, it helped him realise that he could still live his dream, that he still had it in him. Parents could feel a little overwhelmed with the realisation that some dreams may seem a difficult to achieve given physical and emotional strength constraints. Vinay’s father was initially reluctant and it took him a whole year to help him make up his mind. 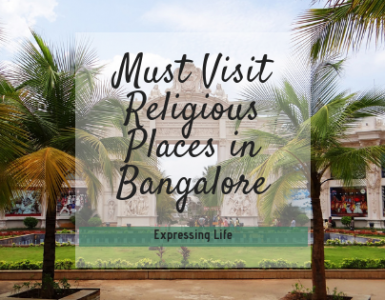 While Divya’s mother was enthused, she needed to make up her mind about places to go to and the spiritual trips she wanted to make. It was only after five months of their first discussion that she was ready to make her first trip. So try to give your parents time to figure things out, without any pressure, even if you’re excited for them. This will ensure they do not feel stressed out. Instead, take their time to get comfortable and build enthusiasm for the new idea or venture. Another common aspect amongst these three families was the insecurity each parent had. They were concerned about being physically able to accomplish what they wanted. This seemed to be the biggest roadblock standing between parents and their dreams. For Divya’s mum, it was a major concern as some trips required quite a bit of strenuous activity. Keshav and Vinay’s dads also wondered if they would have the energy to ensure that their dreams reached fruition and continued to grow. After all, dreams need commitment and, the commitment has to be backed by strength and willpower. This was the biggest insecurity with each parent. 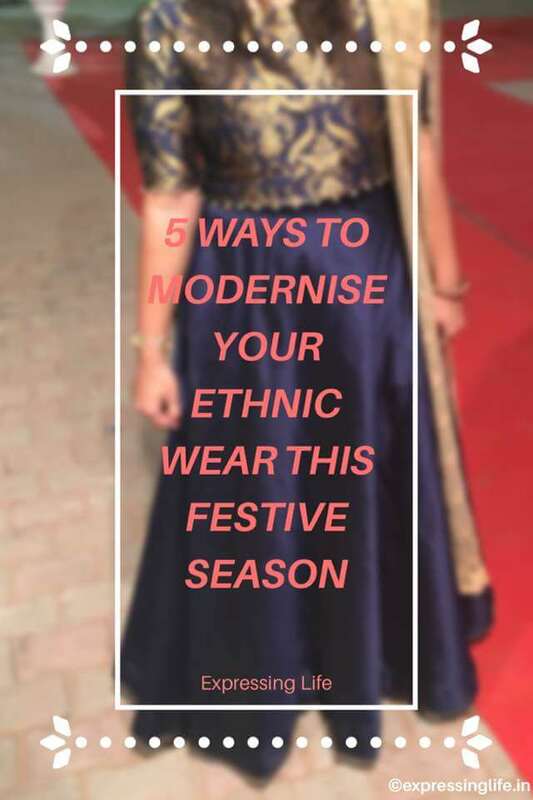 By reworking their diets, and encouraging them to take up the right activities like walking and yoga, Vinay, Keshav, and Divya were able to ensure that their parents overcame their insecurities related to physical strength and endurance. For emotional strength though, of course, the children were their rock-solid pillars. 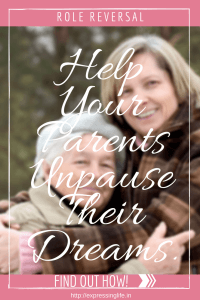 Would you like to help motivate your parents to unpause their dreams like these three individuals? Then check out this link. 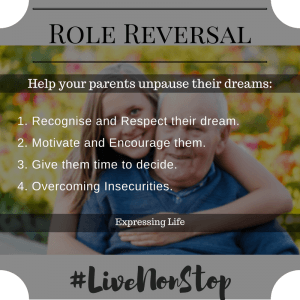 It includes stories of people who are putting age behind them and sailing full steam ahead to #LiveNonstop. 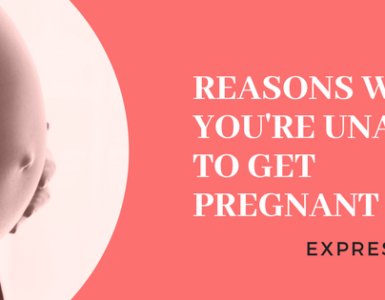 Disclosure: This is a sponsored post in collaboration with Abbott Healthcare Pvt Ltd; however, the views shared in this article are personal. This is a wonderful thought Radhika.. it is one of the best ways to reciprocate our love for parents. 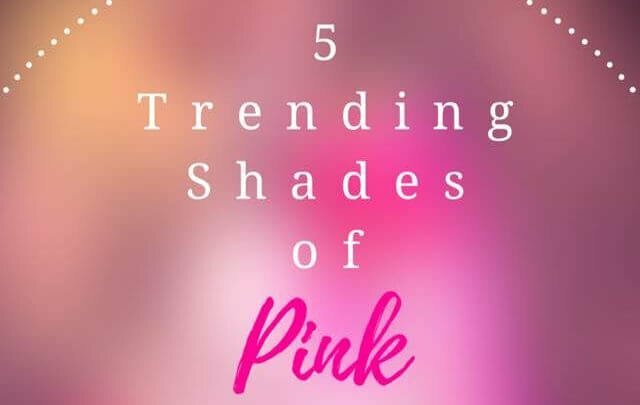 Amazing post, Radhika Didi! We must help our parents achieve their dreams! 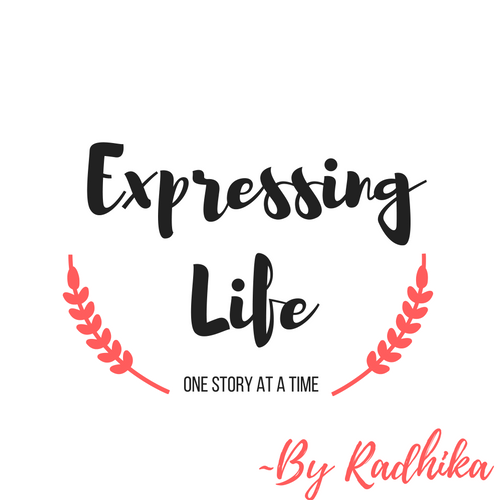 A very thoughtful post, Radhika. As we grow up, we tend to focus so much on our own lives that we forget all about our parents. This is a great reminder. Oops, my bad! Confused it with everything on the plate! Thank you, Sanskaara! This is such a wonderful thought. It is, Hitesh! Thanks for sharing your thoughts. what a beautiful piece… Love it. All great tips. I think Ill be needing this for myself soon enough. Its good to remind ourselves that we should try to keep our focus on what we want out of life. Thanks for sharing your thoughts, Bernadette! I hope you stay healthy! Thanks for this Radhika. I haven’t really thought about what my parents’ dreams are. Great post! I so want to encourage my mom to live her dream. I love this post. Allowing them to still have and act on their dreams allows them to still have their dignity and self worth. How lovely! I always try to support and encourage my parents. This was written so lovely, and so important. Thank you for sharing this with us. Wonderful topic as I do have many friends who haven’t fulfilled their dreams. For me, only thing left is publishing a book & it’s at least started (2 of them) and once I make it my top priority it should be a problem given all my blogging. I just love this! Our parents do so much for us, we should help them do something too! I think it’s important to help your parents reach their goals in life, regardless of age. They brought us into this life, it’s the least we could do. Agreed, Fatima! Thanks for sharing your thoughts. I absolutely love the topic of this post. So important for us to continue to encourage others to follow their dreams. What an awesome way to repay our parents for their sacrifices and hard work. It’s nice to give them a chance to chase after their dreams after all those years of putting us first. This is so inspiring! I really like reading this. Reminds me how much my parents did for me and it’s time to help them realized the dreams they left behind. Beautiful article. It is time for some of us to reach out more to our parents and give help when needed. True, Cynthia! Thanks for sharing your thoughts. This is really great advice. I have older parents who have wanted to do certain things for a while. I need to help them get there. Please do, Coralie! They’ll be the happiest parents in this world. this is full of great information! i should share this with my parents as i’m sure they will agree and find this helpful as well. What a wonderful post about what we can do for each other! I think giving a helping hand anytime that is needed is wonderful. This is so true. We must love our parents no matter what. As they grow old, they will be needing us more so must always be there to support them. Thanks for sharing your thoughts, Claire! I think it’s a great idea to help others reach their dreams.. but I also think it’s important to recognize if you should help or not. Despite popular opinion.. I don’t think everybody needs help. What a thoughtful post. Many times we think that our parents stop dreaming just because they’ve grown older. But at no other moment, other since their pre-marital and pre-parent years, do they have time to think about and pursue their passions. Since they helped us, we should be willing to do the same for them. Your dad has the right philosophy! Thanks for sharing your thoughts. Great tips for helping parents fulfill their dreams. I think many of us forget that many moms and dads still have hopes and dreams. You got me emotional for this early morning!! So important to help them nurture their dreams, after all they have given their lives for us!